Fungi that inhabit marine sponges occupy an ecological niche that has recently attracted great attention due to the potential in either ecological or pharmaceutical advances. The ecological interaction between marine sponges and fungi is, however, only poorly understood. Eighty five fungal taxa were isolated from the marine sponge Psammocinia sp. from the Mediterranean Sea. The majority (89%) of these taxa were isolated using a `sample compressing` method, in combination with the use of fungicides-amended medium. Abundant `terrestrial` taxa such as Acremonium, Penicillium and Trichoderma were found along with potentially undescribed Phoma and Trichoderma species. Several of these taxa exhibited in vitro anti-fungal properties as determined against four test fungi. 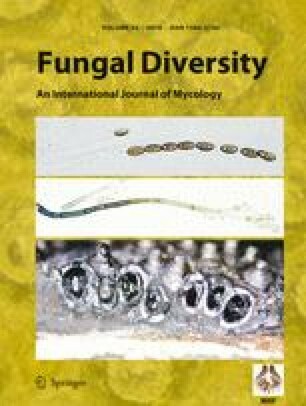 Even though a significant number of fungal taxa were isolated during this study, we estimate that the diversity of fungi that are associated with Psammocinia sp. is higher than reported here. It is advocated that Psammocinia, and other sponge genera, may be a prime niche for discovering new fungal species as well as novel anti-fungal compounds from fungal sources. We thank Keith Seifert for his comments and advice on identification of Penicillium sp, Bente Kopeliovitch for technical assistance and R. Hefetz from Makhteshim- Agan Industries Ltd. for providing the fungicides used for this study. This study was supported by the Israel Science Foundation (ISF 996/06).